for research purposes Oxford Genetics has produced 3 optimised plasmids. pSF-AAV-CMV-EGFP (OG5223) (SnapFast Pro™) - AAV genome plasmid containing EGFP driven by the strong mammalian CMV promoter, between two ITRs. 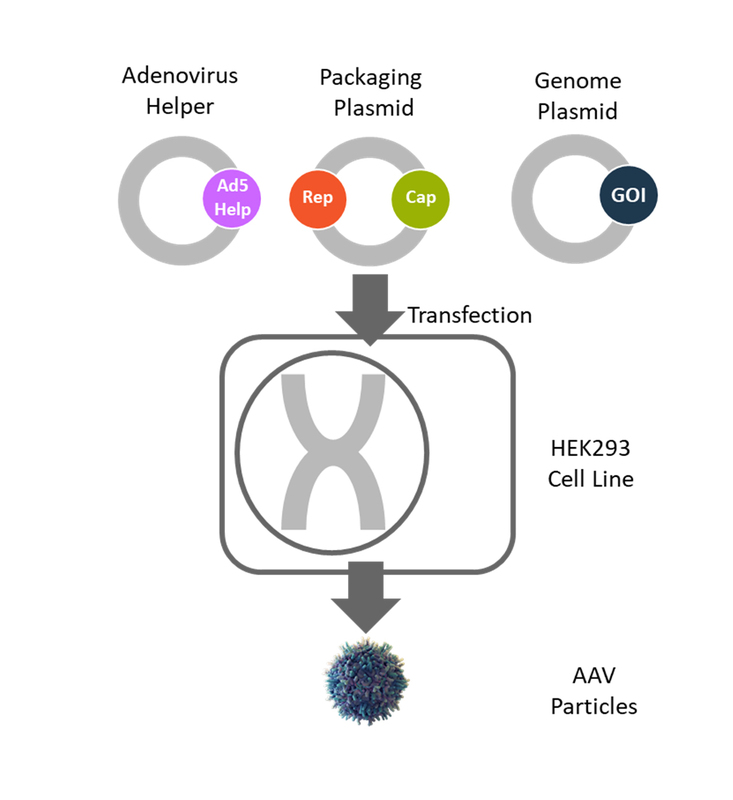 pSF-Helper (OG5221) AAV Ad5 Helper Plasmid (SnapFast Pro™) - Helper plasmid containing all the Adenovirus serotype 5 functions required for AAV production in a transient system. pSF-RepCap (OG5222) AAV Packaging Plasmid (SnapFast Pro™) - AAV packaging plasmid containing the Rep and Cap coding sequences.